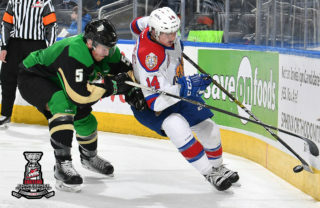 Prince Albert, SK – Five members of the Prince Albert Raiders earned recognition from the WHL on Wednesday afternoon as the league announced its Conference Award winners and Conference All-Star Teams. Head Coach Marc Habscheid was named the Eastern Conference Coach of the Year. Habscheid guided the Raiders to 54-10-2-2 record, which secured the team its second Scotty Munro Memorial Trophy in franchise history. During the season, Habscheid also won his 500th career WHL game and coached in his 1,000th game in the league. General Manager Curtis Hunt earned the Eastern Conference Executive of the Year. Hunt assembled the roster that gave the Raiders one of the best seasons in team history. Maple Leafs prospect Ian Scott won the Eastern Conference Goaltender of the Year Award. Scott led the conference in wins (38), goals-against average (1.83), and save percentage (0.932). He also led the WHL in shutouts with eight. Scott was named the WHL Eli Wilson Goaltending Goaltender of the Week four times and the WHL Vaughn Goaltender of the Month twice. Additionally, Scott picked up a win for Team WHL at the CIBC Canada Russia Series and was named to Team Canada for the 2019 IIHF World Junior Hockey Championship. All of the WHL Conference Awards were voted upon by WHL General Managers and Head Coaches. 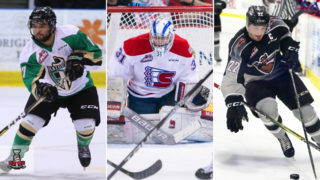 Habscheid, Hunt, and Scott will be the Eastern Conference nominees at the 2019 WHL Awards luncheon in Red Deer on May 1. Additionally, three Raiders earned spots on the Eastern Conference All-Star Teams. Joining Scott on the Eastern Conference First All-Star Team is winger Brett Leason. 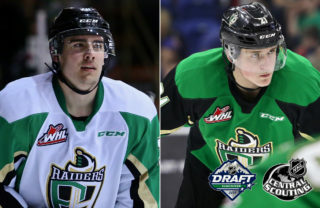 The 2019 NHL Draft prospect led the Raiders with 89 points (36 goals, 53 assists). 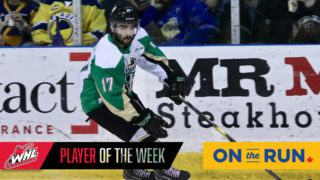 He also started the season on a 30-game point streak, earning himself a spot on Team WHL for the CIBC Canada Russia Series and Team Canada for the 2019 IIHF World Junior Hockey Championship. Captain Brayden Pachal was named to the Eastern Conference Second All-Star Team. Pachal led the Raiders in defensive scoring with 15 goals and 36 assists, finishing nineth among WHL defenceman. He also led the WHL in plus-minus with a staggering +76, setting a new franchise record in the process. 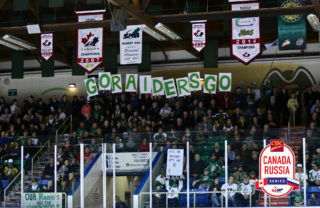 The Raiders return to the ice for Game 1 of their Round 1 series against the Red Deer Rebels on Friday night at the Art Hauser Centre. 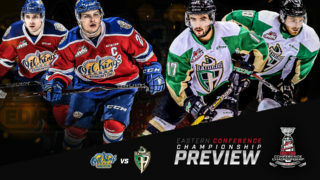 Puck drop is 7 p.m. Tickets are available at raiderhockey.com and the Raider Office. WHL Conference Awards for WHL Scholastic Player of the Year, WHL Humanitarian of the Year, and the WHL Business Award will be announced at a later date.